Judging by the incredible reaction I got to my last wine post on Sauvignon Blanc (well one can dream can’t one) I turn to red. Well, to be honest, the meal made me think red. I had some fairly aggressively seasoned meatballs and bitter greens to match. A quick look in the cellar brought forth a mid-priced cabernet from south of the border. 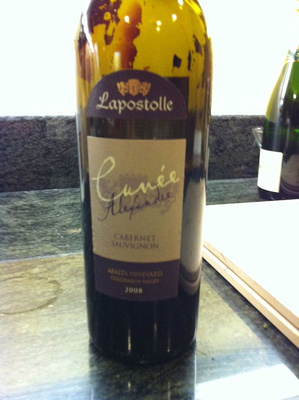 Lapostolle Cuvee Alexandre Cavernet Sauvignon 2008 Alpalta Vineyard. Ideally I would have had an Italian red but the cupboard was a bit bare. Still waiting for all those samples to start rolling in ;). 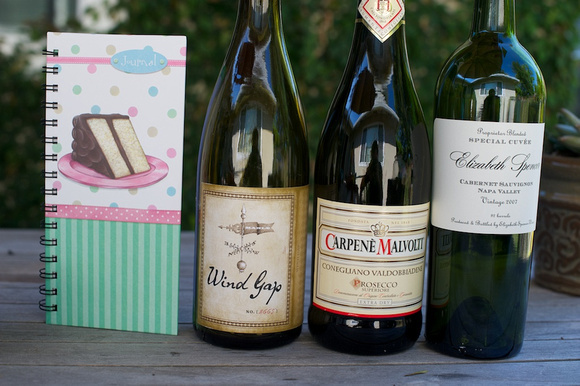 I was pleased to find a pleasing nose of currants, blackberries, and casis with a hint of vanilla in the background. In the mouth the wine is full of dark fruit with some cocoa with some soft tannins and white I consider to be oregano for a pretty nice finish. Pretty darn good for the price point and a great match for the meal!